You have been anxiously saving and working hard for years in order to purchase your first house. The time has finally arrived and you have all your ducks in a row. But when you start shopping for homes to purchase, you recognize the housing market does not have all its ducks in a row. You find it is cheaper to rent than buy. 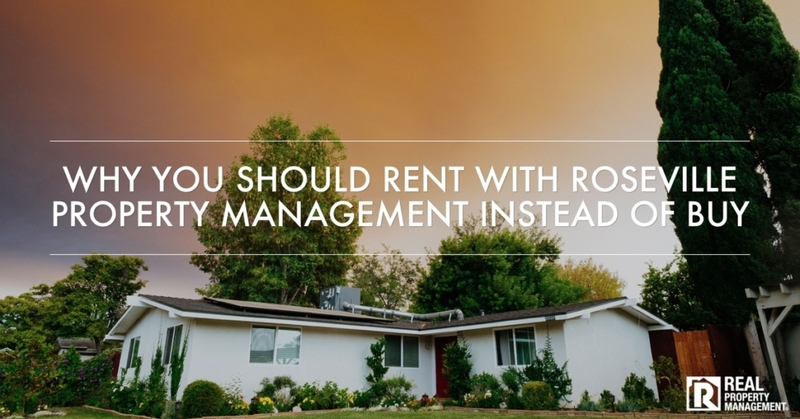 You are immediately discouraged and angry by this reality check because the amount of house you can afford to buy is smaller than what you can afford to rent with Roseville property management. Before you spiral down into deep sadness, remember there is a bright side to this dark side. You can reinvest the savings you will gain from renting and continue to grow your financial portfolio so you can afford a bigger house once the housing market shifts back in your favor. Why the Shift in Housing Prices? The recent acceleration in housing prices can simply be described as a classic economic supply and demand imbalance. Too much demand and too little supply. This imbalance has shifted the desired housing choice back in favor of renting a house with Roseville property management instead of buying. With low housing supply, buyers create bidding wars, driving up home prices and decreasing affordability to median-income families. Low interest rates on mortgages also drive up home prices. On the flip side, the market generally sees housing prices drop as mortgage interest rates rise. In a recent study performed by Zillow, 100 real estate economist experts claim by a 43% plurality vote that the housing market will shift back in 2020 to a buyers market. By that time, the supply of houses for sale should exceed the demand, making home-buying affordable again and abolishing bidding wars. A study performed by Realtor states that the monthly costs of owning a home that you live in are up 14 % over the past year, which is more than three times the annual increase in rent prices on a national level. It states that rent prices are only up 4% annually. New research from Florida Atlantic University and Florida International University faculty have found that the housing markets where it still might be cheaper to buy than rent can be found in much of the Midwest and Northeast, specifically Chicago and Cleveland. Otherwise, markets along the coasts including Miami, Los Angeles, San Francisco, Seattle, Atlanta, Dallas, Denver, and Houston are a renters market. In May, a separate study performed by Zillow and Pulsenomics found that half of the economists polled predict a recession in 2020. The market is about as high as it was at its inflated peak in 2006. The housing market cannot go too much higher at this point. According to a report released by Attom Data Solutions, Quarter 2 of 2018 saw a 6.3 percent increase in the national average home price for both single family homes and condos compared to one year ago. The new average home price is $255,000. While that is a new all-time high, it is also the slowest annual appreciation since Quarter 2 of 2016. It is not just cheaper to rent with Roseville property management, it may also now be a better investment. New research from Florida Atlantic University and Florida International University faculty have found that renting and reinvesting the savings from renting will outperform, on average, owning and building home equity. This is in terms of wealth creation. That is the first time renting outperforms buying since 2010. If the average American home price is $255,000, a 20 percent down payment is $51,000. Whatever amount you have already saved for your down payment, build on it. Try investing the savings you get from renting into a brokerage account that tracks the market. Property management Roseville companies say you should find an investment where you can hope for a 7 percent annual return. Research shows that homeowners typically spend 1 percent of the value of the home doing repairs, annually. That means on a $255,000 home, a homeowner spends $2,550 per year on repairs that renters do not have to pay. Save that amount and invest it. When you think about forking out a hefty down payment, paying thousands and thousands of dollars of interest on a home mortgage for many years, maintaining the home on your own dime, and paying a premium price in this market, you will quickly see that renting with SAC-METRO is the smart way to go. Property management Roseville companies do not require a downpayment, just a rental deposit. There is no interest on your rent and we take care of maintenance for you. Give SAC-METRO a call today to see how we can set you up for success, so you can make the move once the housing market settles down.